So interesting and well researched. A favorite! Absolutely fascinating! Loads of interesting info presented by two brilliant and hilarious scientists, plus a reading list...what more could you want? Are you ready to dilate your mind? Or at least your eyes? We hope so, because that means you’re ready for another Poisoncast episode! This week we’re joined by our friend Matt Candeias from In Defense of Plants to chat about Atropa belladonna, a lethal yet beautiful plant that lives up to all of its many names, including deadly nightshade, belladonna, devil’s berries, and naughty man’s cherries (yes, really). We’ll explore the ancient myth, medieval lore, and modern murder that make up this plant’s history, and then we’ll venture into the nervous system to find out what belladonna has to do with fight or flight. Finally, we talk evolution to see how this deadly substance helps out its plant producer. Pour yourself a quarantini and listen up, making sure you’ve added the right berries to the mix, of course. Check out Matt’s website indefenseofplants.com and follow him on twitter @indfnsofplnts! This is it, y'all: the season finale. This week we’re talking about HIV/AIDS, one of the biggest pandemics of modern times. We were fortunate enough to speak with three individuals who have had vastly different experiences with HIV/AIDS. Frank Iamelli, who took care of many of his friends throughout the epidemic, Hillel Wasserman, who has been living with HIV since 1987, and Brryan Jackson who was diagnosed with AIDS when he was only 5 years old. 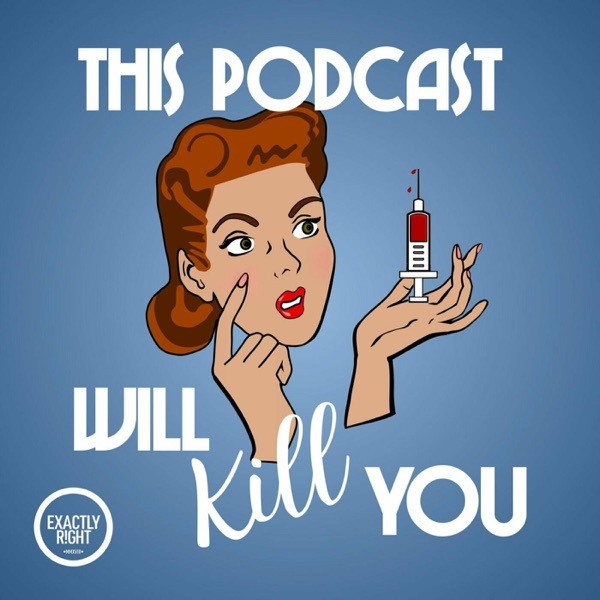 In this episode, you'll get a glimpse into their stories and then we'll fill you in on all of the biology, history, and present state of HIV in the world. Don’t forget to tune in next week for our special bonus episode where you will get to hear more of Frank, Hillel, and Brryan's stories in depth. In the meantime, here are a couple of links to Brryan's website and Being Alive LA which you'll hear more about next week!